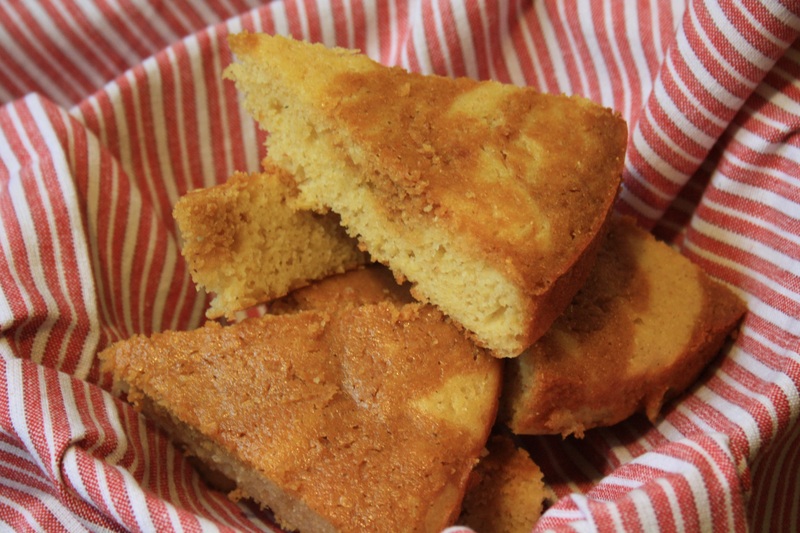 When I was growing up Johnnycake (aka cornbread) was near the top of my treat list and when mom made a batch to go along with supper I always filled up on it first. Permission to have cake with supper? Who would have thought! The not-too-sweet of it appealed to me, but so did the texture (a little coarse) and the buttery flavour. 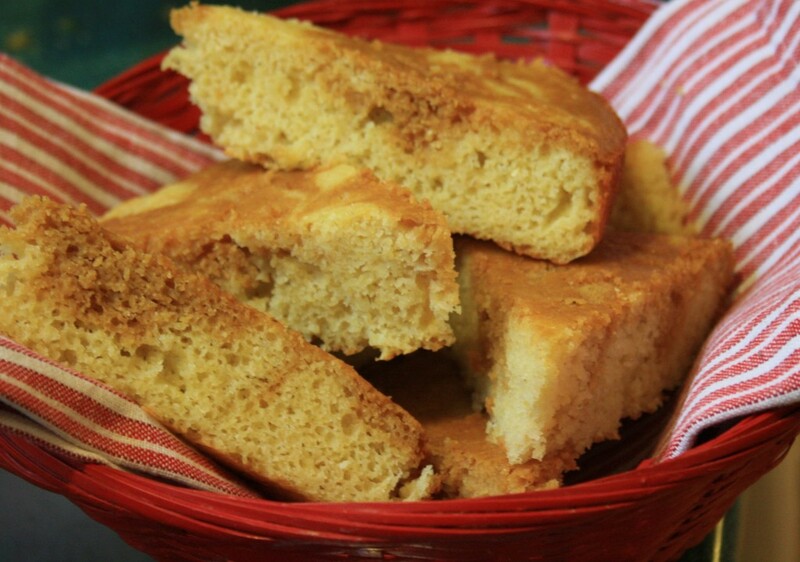 To this day I gravitate to any kind of cornbread and often make it for my kids to go along with soup or chili. 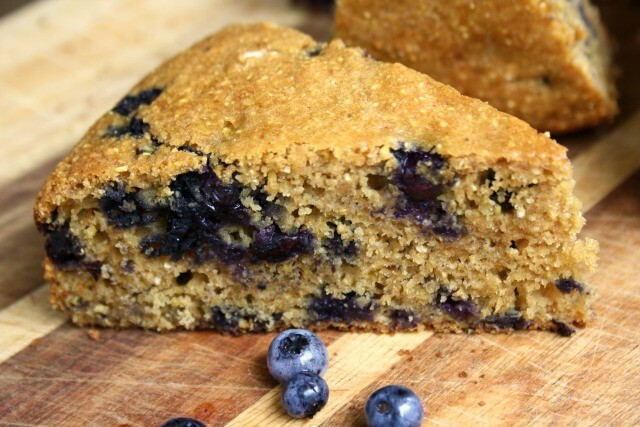 I have made molasses cornbread in the past but missed the golden colour of the bread when it’s made with honey. But then I found this recipe which combines the best of both worlds. You add molasses to ¼ of the batter only, for a marbled effect. My version here isn’t as pretty as the photo I found on the blog Paper and Salt, but it’s delicious nonetheless! 1. Preheat oven to 425°F. Grease a 9-in. circular pan. In a large bowl, sift together corn meal, flour, baking powder, sugar and salt. 2. In a separate bowl, combine buttermilk, egg and butter. Add wet ingredients to dry ingredients, stirring until just combined. With a large measuring cup, reserve ¼ of the batter; pour remaining batter into prepared pan. 3. Add molasses to the reserved batter and stir until well combined. Pour on top of pan in three straight lines, making stripes. Drag a knife across the batter perpendicular to the stripes, every two inches, to create a marbleized pattern. 4. Bake for 15-20 minutes, or until a tester inserted in the center comes out clean. Cool 10 minutes. 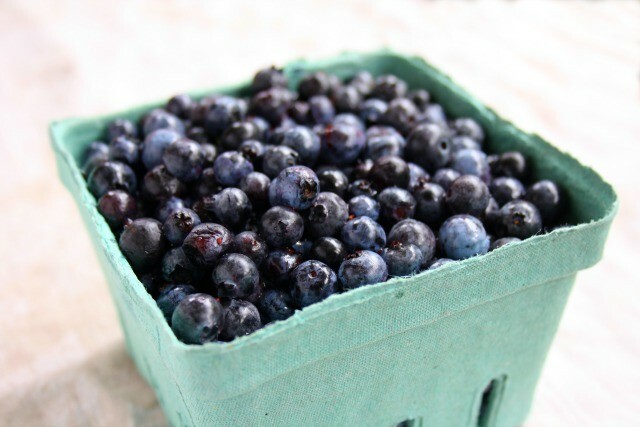 * To sour milk, add 1 1/2 Tbsp of vinegar or lemon juice to the milk and let stand for 10 minutes before adding it to the recipe.